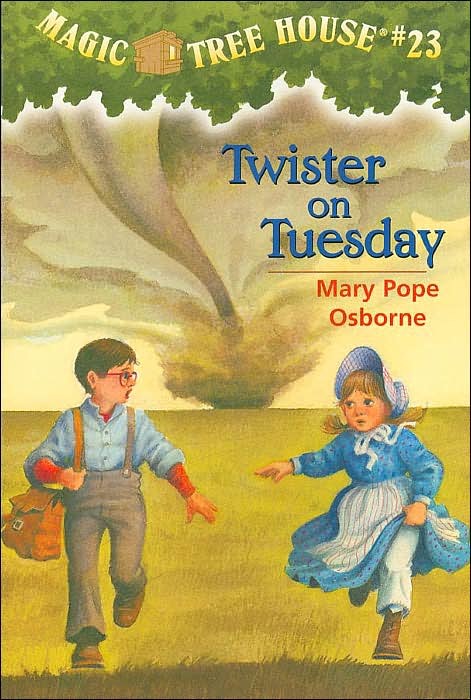 That’s what Jack and Annie get when the Magic Tree House whisks them back to the 1870s. They land on the prairie near a one-room schoolhouse, where they meet a teenage schoolteacher, some cool kids, and one big, scary bully. But the biggest and scariest thing is yet to come! Great lesson on how it “used” to be in the old days :). Addyson loved that the whole school was in one room and even the big kids were with the little kids.